July 8, 2015 July 7, 2015 LauraLeave a Comment on Tour de Fleece. I’ll warn you right now that this post doesn’t have much to do with tea or knitting. Every year in July there’s a little bike race that is held over in France, you might have heard of it? 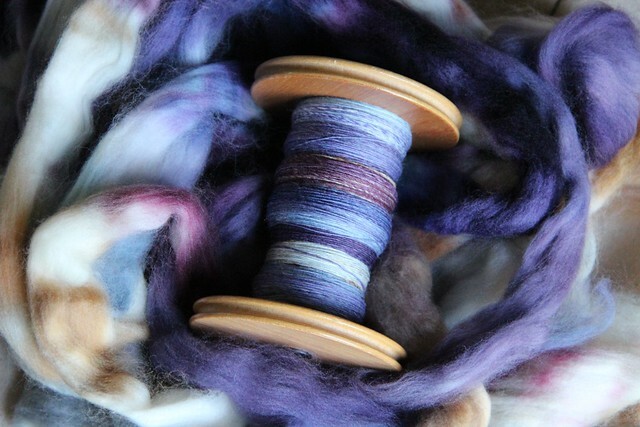 While the Tour de France spins on in France, the (fiber) spinning world sits at our wheels at home and spins along with the riders. I won’t pretend that the effort is the same, but it has quickly become a cherished part of my summer. The Tour de France and Tour de Fleece kicked off on Saturday, July 4. 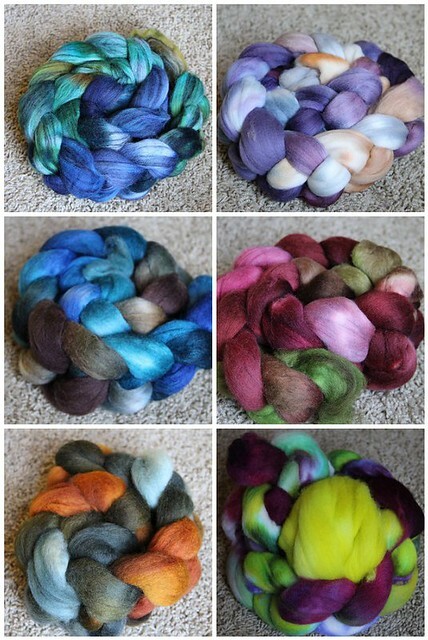 A few weeks ago I narrowed my fiber selections to 10 braids I wanted to spin up during the Tour. It’s a stretch for me, but I’m hoping I can do it. The top left photo is actually a sweater quantity (5 braids) which is how I get to ten. 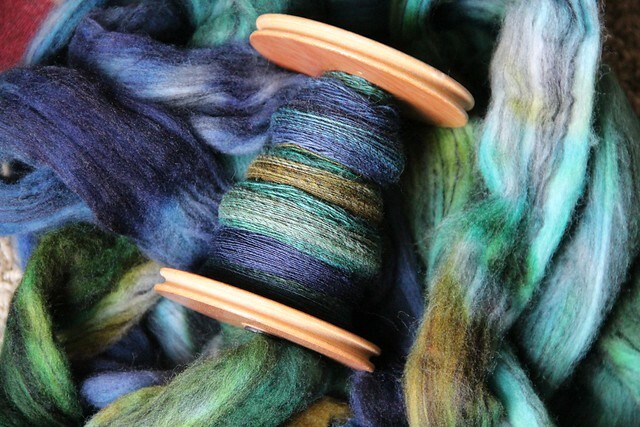 I’m spinning fibers from Hello Yarn, Southern Cross Fibre and Spunky Eclectic. Here’s my progress on days 1, 2 and 3. The sweater spin is for me, but most of the others will end up in the shop over the next few weeks so stay tuned! 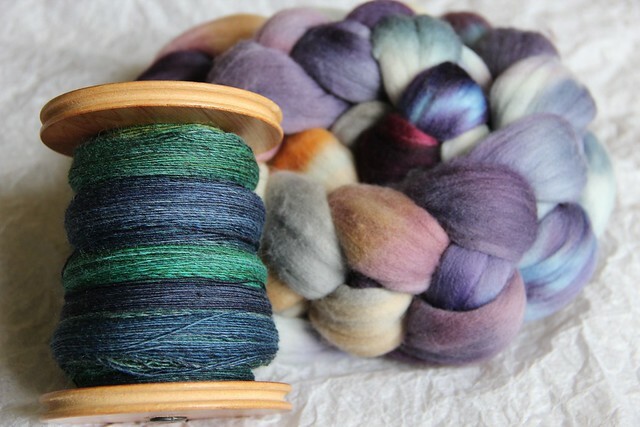 Previous The Corner of Knit & Tea: Episode 46, Le Tour!